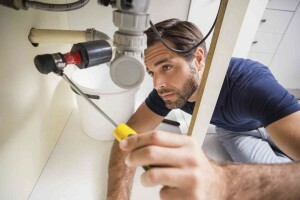 Whether you are preparing to place your home on the market in the next year or just looking to maximize your home value before refinancing, there are many simple plumbing updates that can boost the value of your home. Whether you are preparing to place your home on the market in the next year or just looking to maximize your home value before refinancing, there are many simple plumbing updates that can boost the value of your home. Many of these plumbing updates are double duty, and they can actually save you money thanks to their installation! Here are five of our favorite plumbing updates that will increase the value of your home. More homeowners than ever use water filtration systems in their home to keep water clean and healthy. If you find yourself purchasing bottled water or using complicated water filters in your refrigerator, consider installing a water filtration system for the house instead. This plumbing update saves you money and prevents you from needing to worry about purchasing new water filters regularly. Even better, this plumbing update is very appealing to homebuyers. While a major bathroom remodel can add major value to your home, sometimes a smaller bathroom remodel with simple plumbing updates can net you a better return on investment. Things like new showerheads, faucets, or sinks can change up the feel of the room without a hefty price tag and boost the value of your home. Obviously, an easy way to boost the value of the plumbing in your home is making sure that it is in good working order. Minor problems, like a running toilet or leaky faucet, can be costing you money every month and detract from the value of your home. Home inspectors know to look for plumbing problems during the sales process, so protect your home value. Just like a minor bathroom update can boost your home’s value, the same is true of your kitchen. Change out your sink or install a new faucet with better features. Small plumbing updates can change the feel of the room and boost the value of your home at the same time. Many plumbing updates can be described as little luxuries, or, things that didn’t need to be there, but that are nice to have anyways. If you have space in your garage, add a utility sink. If you spend a great deal of time outside gardening, add a small outdoor faucet for easier access. This entry was posted on Friday, September 8th, 2017 at 12:13 pm. Both comments and pings are currently closed.